As the Australian and New Zealand distributor of the Roberts Gordon product range, Hurll Nu-Way now adds a range of heating, cooling and dehumidification products from Addison USA. 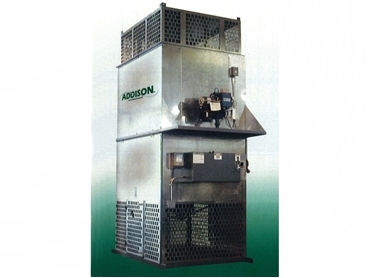 Addison’s HVAC products include air turnover units designed for smaller commercial, institutional and industrial spaces. The compact design allows the unit to be placed in facilities with ceiling height as low as 4 metres. Addison’s air turnover units are ideal for automotive centres as well as maintenance and industrial facilities where the unit can quickly achieve space temperature setpoint after the bay doors are opened and closed. In commercial spaces such as showrooms, the heat-cool units can maintain year-around comfort. The air turnover units are also suitable for indoor sports facilities where the 100% return air operation will help provide quick recovery of space temperature when switching from unoccupied periods to occupied periods. The units also suit pharmaceutical/ cosmetic storage applications where strict FDA-stipulated temperature ranges can be maintained for regulated products. Since the units do not require ductwork that could potentially conflict with other products or equipment in the space, the air turnover units are ideal for retrofit installations. The constant circulating airflow keeps dust from settling on boxes in warehousing and storage facilities, helping to prevent consumer perception of ‘old parts’.